The Vermona '14 Analogsynthesizer is an uncompromising synthesizer for instrumentalists. This monophonic lead and bass synthesizer is perfectly suited for distinctive solo and bass sounds, including dynamic and individual sonic variations which are completely under your control at all times. Featuring a 44-key aftertouch-enabled keyboard with modulation-wheels, alongside a vast array of physical controls, the '14 Analogsynthesizer is a truly astounding instrument. Utilising the same premium-grade components found in the sound-generation and sound-shaping circuits of Vermona's classic synthesizers, the Analogsynthesizer's circuits have been adapted and refined for exceptional stability and musicality. Following a classic subtractive synthesis design, the instrument's versatile low-pass filter molds the sound-source that is generated by two powerful analog oscillators. Only 222 '14 Analogsynthesizers were manufactured, and they retain Vermona's warm, round, classy sound with authoritative musicality. 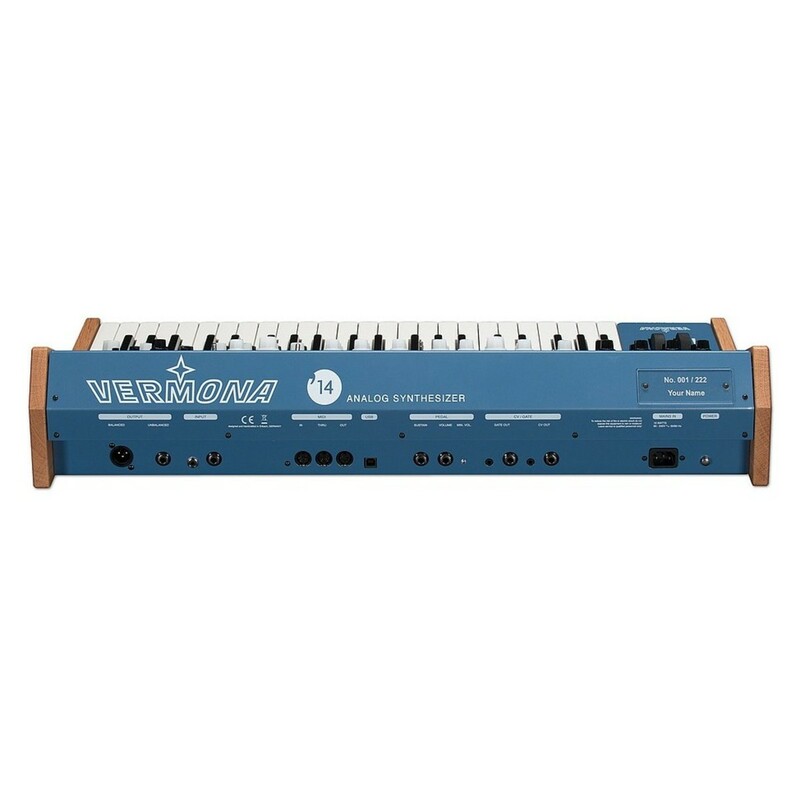 The Vermona '14 Analogsynthesizer provides you with the ability for complete expressive play. Balancing astounding sound shaping capabilities with the tools for beautiful melodic virtuosity, the '14 Analogsynthesizer delivers a simple yet immensely powerful workflow. Direct access to each individual sound shaping parameter of the instrument's synthesis engine is provided by the intuitive controls and aftertouch-enabled 44-key keyboard, with modulation and pitch wheels alongside. 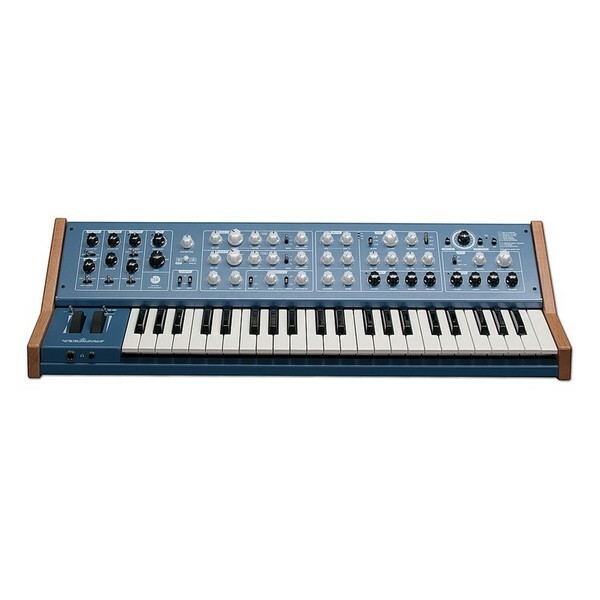 Unleash dynamic and individual sonic variations at any time thanks to the Analogsynthesizer's intelligent design. The '14 Analogsynthesizer utilises components for its sound generation and shaping that can be found in the highly regarded circuits of the PERfourMER MKII and the Mono Lancet '15. However, the circuit designs in the '14 Analogsynthesizer have been developed and refined for improved stability and musicality, with great attention paid to creating an intuitive and practical scaling of each and every sound parameter. 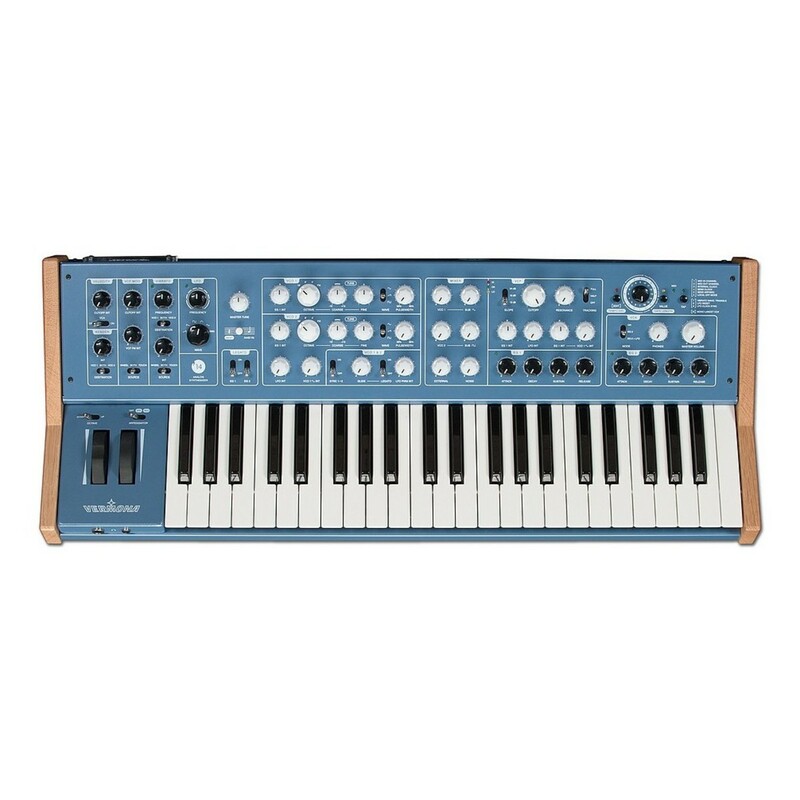 Following the classic subtractive synthesis structure with a versatile low-pass filter carefully molding the sound-source from two powerful analog oscillators, the Analogsynthesizer produces that rich, warm, round tonality that put Vermona's instruments firmly on the map. Every single step of the '14 Analogsynthesizer's construction is carried out in Vermona's Elektroakustiche Manufaktur in Erlback, Germany. Without exception, everything from assembly of the circuit boards, rich up to the final rigorous quality assurance testing of the finished instrument is carried out there with expert precision. Each synthesizer is an outstanding instrument, and each '14 Analogsynthesizer is one of just 222 units made.